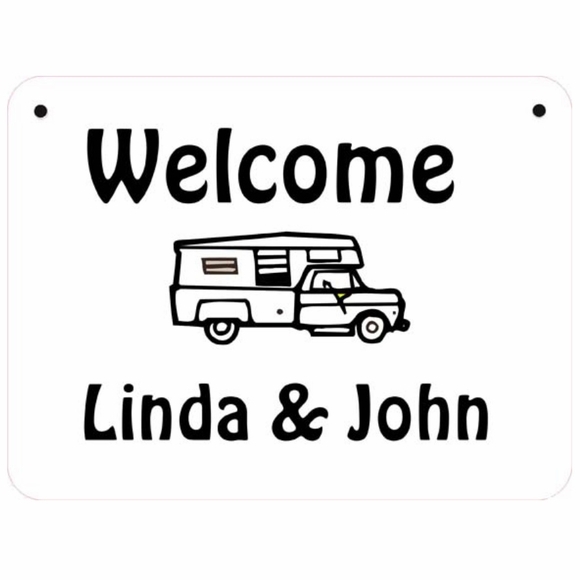 Personalized Camper Sign - - personalized Welcome sign for your beloved camper. Made in USA. For Camper enthusiasts and those who indulge them. Personalize with your name, name of your camper, campground lot number, short slogan, or whatever you specify. The word "Welcome" and the camper are standard on all signs. Ready to hang on, in, or outside your camper. Personalized camper sign crafted in the USA by skilled artisans to assure the highest quality.